Why is there a Feedback Loop on my blacklist? 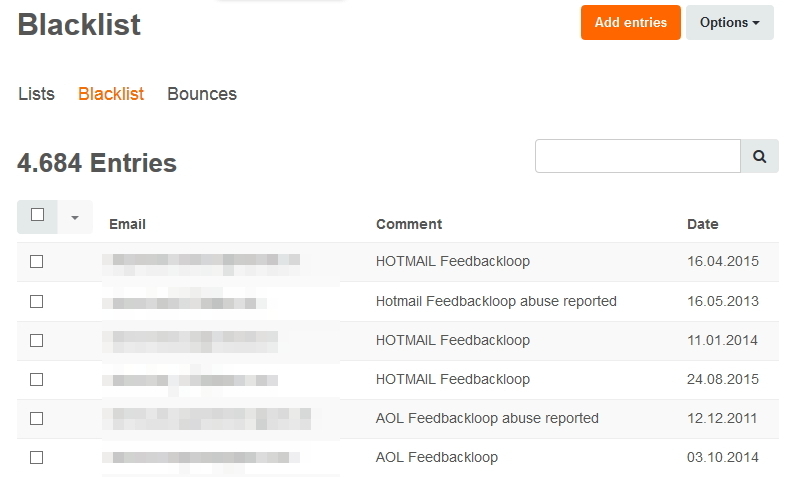 If a recipient issues a spam complaint in certain programs or web portals (Yahoo, AOL and others) our system receives an automated feedback. This recipient will then automatically be added to the blacklist. You can remove these entries from your blacklist but we recommend that you don’t since the recipient actively complained about your emails being intrusive.